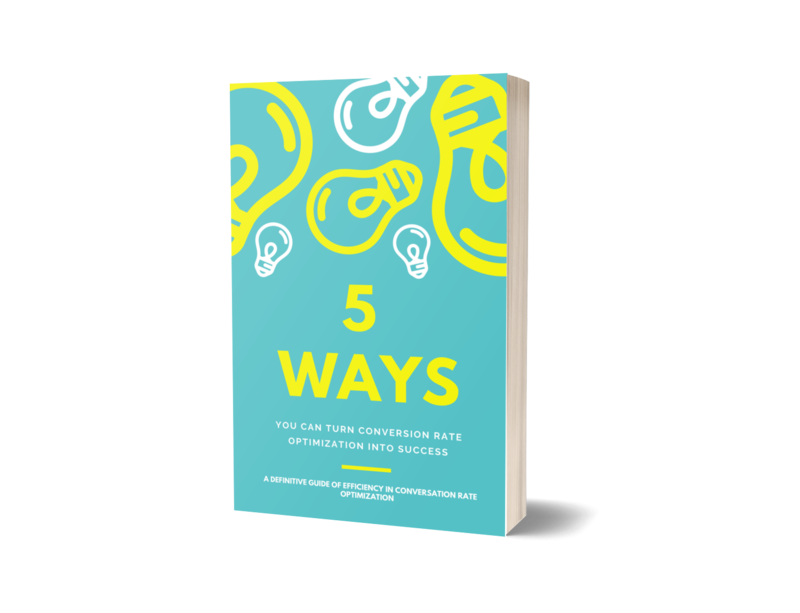 5 Ways you can turn Conversion Rate Optimization Into Success - SalesChat.co : Live Chat Operators for Business Sales And Support. Set the right conversion rate and turn it into business success! Conversion rate refers to the percentage of the visitors on your website out of the total number of visitors to your desired goal. A higher rate of conversion means a company has a successful marketing and near in achieving its goals. Every company sets its conversion rate according to its business success. According to research, the companies that are achieving 10% or higher conversion rate, they are achieving the best. However, a conversion rate of 2% and 5% is also an indicator towards a good rate. Different brands have a different rate even in the same industry. Their rate depends upon the traffic sources, traffic volumes, traffic perception and different relationship with their clients. The secret of the success of an organization also lies in the excellent customer service. A trained and professional staff can bring more clients into the sales journey. Although there are many aspects that a company should consider while forming its customer service but few skills which considered most important and need regular training to polish are mentioned here. Customer engagement refers to the relationship of a brand with its clients. The traditional means of customer service have now replaced by the advanced technology. Now an organization has multi-channels to engage with their prospects using emails, live chats, and social media. The strong and big contents on the website also grab the attention of the new visitors and attract them to purchase. Hence, a company has many ways to communicate with the leads and never miss a chance to grasp their attention. In the competitive era, if a company introduce a competitive product it can’t beat its competitors without customer education. Even a high-level and sophisticated product or service is useless if the customers are unable to use it. Therefore, the awareness or training sessions should also be placed about the product or service so that customers can understand it easily, analyze if they really need it or not and purchase it easily. It also gives an impressive impression to the new visitors if there is a brief introduction is available on the website along with each product or service. Customer feedback refers to the information and suggestions provided by customers regarding products or services. Such feedback gives the idea if the clients are satisfied with the product or not. Customer feedback is very helpful in improving customer experience or any improvement required. Feedback can be taken in the form of surveys, online reviews, and monitoring tools. A good quality of a customer support always proves beneficial for the company as clients have a chance to come back through this. A better customer service gives a company edge over to the competitors. It not only helps to understand the needs of the prospects in a better way but also attracts new visitors. Hence increasing the sales growth. Quality of the customer service can be enhanced when a company invests some time and money for the proper and regular training of the agents preparing them for every situation. When customers don’t face any problem throughout the sales journey and customer service is consistent, it ensures a better customer service. For growing busy industry, a profitable strategy has to follow. Though to achieve the effective and efficient result, a company has to invest more but it will exceed the cost and sometimes out of the budget. However, by using simple strategies and planning the things in a right manner can save the brand from further investment. By focusing on social media, website, live chat service and other such elements, an organization can improve its marketing strategies. An excellent online marketing helps to attract a large number of audience at any place and at any time. Repositioning of opt-in form on a website like the welcome page, header, footer, contents, pop-up in a good manner so that it has a great impact on the customers and they find it user-friendly. Offering your visitors more valuable content on the website can bring more customers into the circle. giving testimonials, reviews and feedbacks. Providing accessible social media links. A strong or weak content depends upon the catchy headlines. There are many ways to write the headlines but by using simple tips the headlines and website can be made impressive. Simple, easy and short headlines. To the point and clear about your main purpose. Publishing interesting news for the audience. Adding questions to the headlines. Add the more informative resource. Proactive chat is the feature through which live chat representative can invite online guests into the one-on-one chat interaction. Chat initiatives are started based on the visitors’ information such as geographic location, referral pages, current pages, visit time, chat time, visit duration and many more. When more visitor data is gathered from the live chat, it causes more personalized proactive chat initiatives. Presently, all applications and websites show an immediate message to the users after completion or any error during a task. These messages are referred to as pop-up messages and give instant information about the situation. These messages should be prominent on the screen so that user can know about it. How does it feel when a page has slow loading or has poor performance? Every user wants a nonstop user experience while receiving the information. According to a search, a user can wait only 2-3 seconds for loading page. It means if you have the poor performance of your website then you are losing your visitors or clients. However, here are some tips to maintain the performance of the website. Compress images and optimize files. According to research, 70% of the B2B marketers invest more in the content marketing as they know that the strong contents can bring new clients in the circle. The demand for strong contents is everywhere whether it is blog posts, ebook, videos, podcasts or social media contents. Make email list to deliver contents. Brainstorming and using keywords to find what’s your audience is looking for. Website promotions are the plans and tactics that are used to improve the website’s content and to attract more new visitors. For such purpose search engine optimization and search engine submission techniques are used to increase the number of online guests. There are many ways to promote the websites online as well as offline. Online Website Promotions include email marketing, social media marketing, blog marketing, advertising, Search Engine Optimization (SEO) and Search Engine Marketing (SEM). Offline Website Promotions include networking, direct mail, publicity, newspaper advertising, radio advertising, television advertising, and public speaking. Many famous organizations give the free trial of their product and services to their new visitors. It is a good way to step forward towards new consumers by providing them with free service and when they like the service, they can purchase it immediately. Moreover, by sending emails to the consumers at a regular basis, at the end of the trial or for the feedback can enhance the customer experience. On the other hand, if guests are not ready to buy the product at the end of the trial but constantly using the software or product, a company can extend the trial so that it can give time to the users to make their mind for purchase. According to research, 95% of the blogs are failed due to the lack of readership. But strong content and reviews can increase the traffic on the website. However, there are many unique ways to enhance traffic on your blog resulting website promotion. Publish more articles and longer contents. Optimize the blog for search engines. Develop a blogger outreach plan. Do cross-promotions with other bloggers. Advertising is much easier now through the use of social media like Facebook, Twitter, and Pinterest. Social media accounts not only give the excellent platform to advertise their product and services but also provide many ways to communicate with the regular as well as new prospects. One of the easy way to extend the circle of the clients is to use the search engine like Google, Yahoo, Bing etc. A search engine provides this service free and companies can upload their contents along with their website link. This is a good way to promote your website if you are uploading the fresh contents on the regular basis. Each organization uses promotional activities to stand out from its competitors and keep customers attraction towards their product and services. However, this is possible if the company use successful operations for the promotional activities. Many operations focus on the enhancement of communication with the clients and improvement in the products or services but it’s up to the organization which of the following operation best suits its structure. Finally, these all are the possible easiest ways that can enhance your conversion rate if you consider these points before structuring and finalizing the business strategies. If you are doing a business and want to compete online, the conversion rate optimization program can help you. Most of the companies have internal optimization strategy by having sufficient information on their website, trained staff, groups with the tactical mindset and an unproductive focus on vanity metrics. However, there are few and easy tips through which you can turn conversion rate optimization into success. The first key for conversion rate optimization (CRO) is to set a goal for your business. Sometimes, some objects are really small but proved a ladder towards the bigger targets. These are called micro-conversions. Such aims can never be ignored. However, to achieve a successful conversion rate optimization, a business must set its goals, make a complete structure of strategies and implement these strategies in a right manner. Although technology has paved the way to achieve the goals, one must know the right use of technology at the right time. Same in the case of Conversion Rate Optimization (CRO) where selecting suitable tools and tricks can bring you closer to your benchmark. If a company wants to identify the elements that grab the attention of the online visitors then a company can use visual analysis tools. For this purpose, the usability and accessibility testing of the tools and technology is also important so that no online guest can face any problem. Keeping in mind that points, a company should prioritize the activities that are included in the Conversion Rate Optimization (CRO) and then use the most suitable tools and technology according to their budget and time allocation. Monitoring and evaluation are necessary at each step of Conversion Rate Optimization (CRO) program. Monitoring helps to examine each step of the strategy so that any problem in the plan can be resolved in the real-time. It also helps to identify where a change or an improvement is required in the strategy if a company is not getting its benchmark. On the other hand, evaluation is a vital key to analyze how successful your plan is and where your plan is not working properly. However, an evaluation process is essential for all the parts of the company, whether is a leadership process, financial outcomes or any implemented strategy. Resultantly, in CRO program, monitoring and evaluation verify the smooth running of the program and ensure which tools and technologies are most suitable for the plan. Key Performance Indicators (KPIs) are used when you want to analyze your business is attaining its goal. 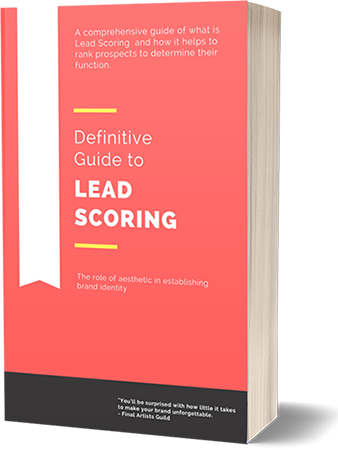 Though the conversion rate is one of the vital keys as a KPI we don’t assume a single metrics as a performance indicator. For a successful conversion rate, first, you want to keep in mind the whole structure of your business and then analyze how conversion rate optimization (CRO) and other metrics fit according to its structure. Such as for an e-commerce business you have to know about your regular customers and the effect of optimization activities on the average order value. The proper focus on KPIs not only bring profit improvements but also bring tangible profit that strengthens the company structure for conversion rate optimization. Another factor for the conversion rate optimization is to review the entire funnel. Each funnel has different parts and different strategies to tackle these. The first portion is search engine optimization where visitors can find the right answers to their questions and can become the regular prospects. The middle of the funnel involves keeping the promises upstream while the last part of the channel doesn’t require any return from its prospects. Resultantly, each part of the channel demands different tactics and successful strategies. Only one call-to-action on each page. Limited numbers and distinct from each other. Keep the contents short and clear. Use of images for emphasis. Use of some more white space. Before starting any strategy for an organization, the complete understanding of the business, its ongoing activities and business operations are necessary. However, some factors are very vital that requires complete focus and thorough understanding before starting any business. Understanding the products and services is an important factor in the business plan. In this step, a brief description of the product and why there is a need for specific service in the market is provided. The description of the products and services in simple terms can increase the investors. Sharing of the business plans with your employees can allow them to have a clear understanding of the business and guide the prospects and new visitors in a right way. The needs of the business can be fulfilled when an organization is upgraded according to the new technologies and needs of the strategies. The implementation of new technologies into a business can help to access the clients easily and challenges are faced successfully. However, those requirements and supports are also needed that accomplish the long-term needs of the business. Investment in the business, employees and infrastructure are expensive but give long-term benefit. When a company knows about its competitors, its products, what they are offering then it will be easy for the organization to set the goals, offer competitive prices and launch improved products and services. It also helps to overcome a company’s weaknesses and establish advance marketing strategies. Such knowledge also guides to analyze how good a company is at the marketplace. A brand should consider the following questions while getting information about its competitors. What factors do you need to know about your competitors? How to act on the information gathered about competitors? Target market refers to the market whom a company wants to sell its products or services. It comprises the desired number of clients. Planing about the target markets is one of the initial and vital steps of the marketing plans. A company can divide the target market into different categories like geography, demographics, psychographics and buying power. Before starting any strategy about target markets, a company should realize about the needs and wants of the target markets. There are many different strategies that determine the needs of the target markets. The main approach for that is to listen to your clients more than you speak so that you can analyze their demands. After that, ask all the questions that you have in your mind. Analyze your products according to the objective perspective and determine the objectives that are already needed. Many factors are there that can change the decision of the customers. These decisions can be purchase decision as well as behavior. Some factors directly related to the products and are referred to as the product factor. It comprises the material of the products. While some aspects that are not related to the outcomes itself are known as non-product factors but these can still change the client’s choice. These factors involve the brand name, packaging, product placement, reputation, and pricing. On the other hand, some elements can affect the behavior of the clients. Such factors help to analyze the past as well as the future of the organization. These objects also support to determine the purchasing pattern of the consumers. The financial condition of a company. Each organization has some strengths through which it can expand its purchase circle but strengths and weaknesses go side by side. If a brand has the ability to overcome its weaknesses then it can compete with its competitors. For this purpose, companies use the SWOT (strength, weakness, opportunities, and threats) strategy. SWOT analysis is helpful to determine how well you are running your business, what improvement is needed, what are the available opportunities and analyze suggestions that are given by the clients. According to research, two-thirds of the small businesses survive for at least two years and 44% of the companies survive for at least four years. According to research, there are some elements which prove the weaknesses of the businesses and to succeed in a market, organizations have to overcome such deficiencies. If organizations consider these points while making the strategies and business, it can overcome its weaknesses easily and can give tough time to its competitors. For an organization, where it is important to focus on weaknesses, it is also important to highlight the strong points as it makes the brand unique from others. Assemble all the unique points and benefits of your products and services that make these unique from your competitors. Decide what emotional need is specifically met by your product or service. Highlight the aspects of products and services that the competitors can’t copy. Create a solid, clear and precise content about products and services. Answered the questions of the clients in a manner so that customers are completely satisfied. When a company uses live chat in its website, it’s easy and beneficial to provide free and instant assistance to the new visitors. As consumers need an immediate response to their queries that’s why adding this feature can please the new guests. Moreover, the use of virtual assistants can prove icing on the cake. It can cause great customer experience and satisfaction resulting in high-rated traffic on the website. Simple Navigation significantly improves the organization and structure of the website. It provides content-based structure, putting the pages into the logical order. Organizing the website according to the audience-based structure can be useful as it breaks the website into different sections that represent the current users.